Wednesday, January 30th, I took the day off work to go to the Ronald Reagan Presidential Library, over at Simi Valley (map). 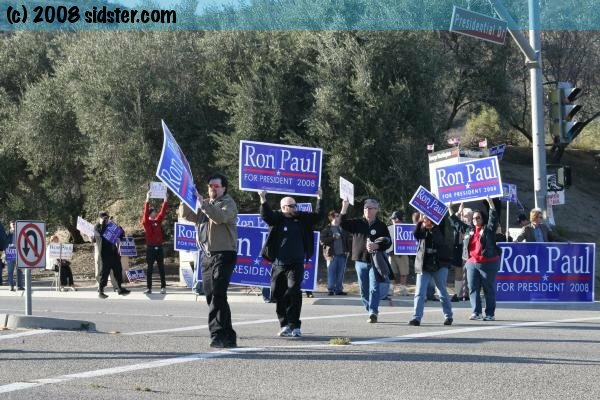 The GOP Debate was being held there and I wanted to be there and show my support for Ron Paul. I got to the library at around 2 PM. 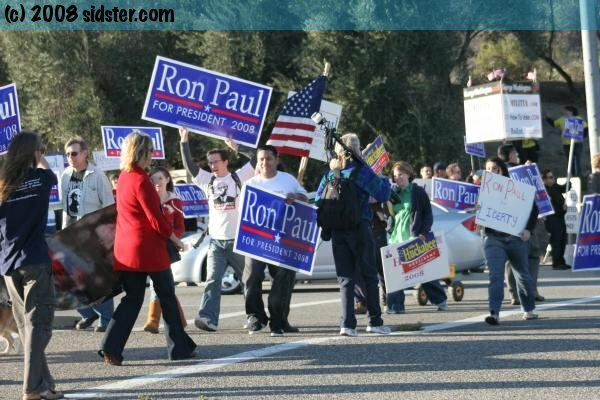 By this time there were a good number of supporters there. 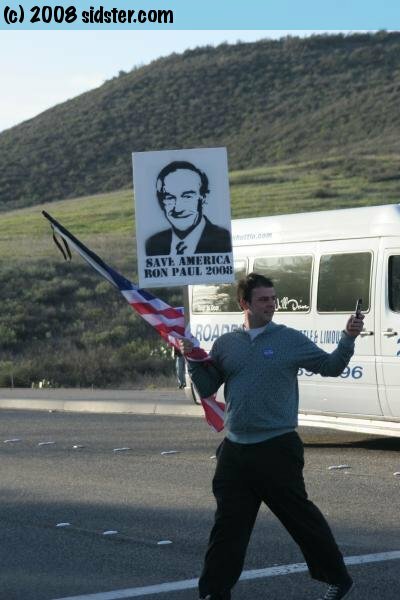 I saw supporters of (in order of observance) Barack Obama, Mitt Romney, Ron Paul and Mike Huckabee. 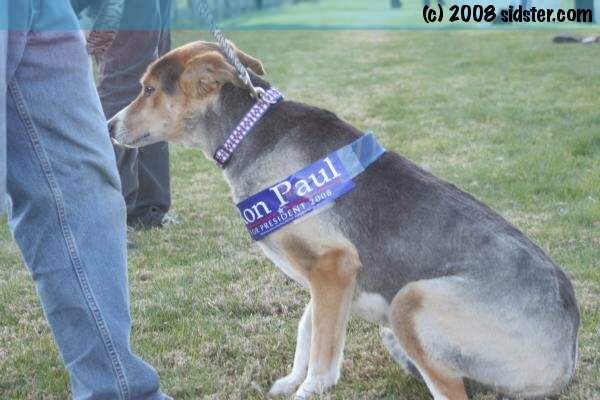 Did you notice anything interesting in the list of supporters? 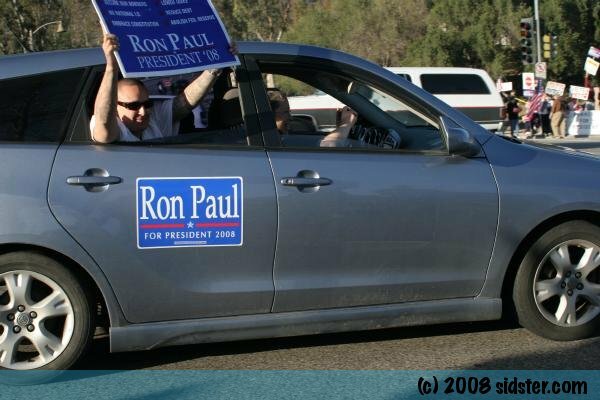 It took me a little bit, but I soon wondered where the supporters of the two supposed "front-runners" were? That's right, John McCain and Hillary Clinton did not have any of their supporters present. I was at the base of the library from around 2PM 'til about 5PM and did not see one single sign for either Hillary or McCain. 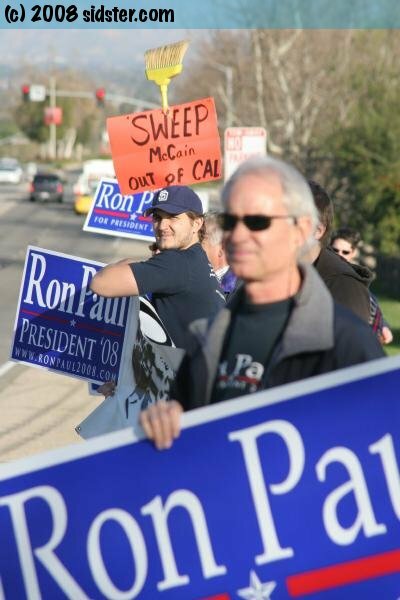 Well, I did see two signs for McCain, but those were anti-McCain signs (one pictured below). I took quite a few pictures and here are a few from the 360 plus or so pics I took. I'll hopefully make some time and put the entire set on a gallery somewhere and post a link to it here. 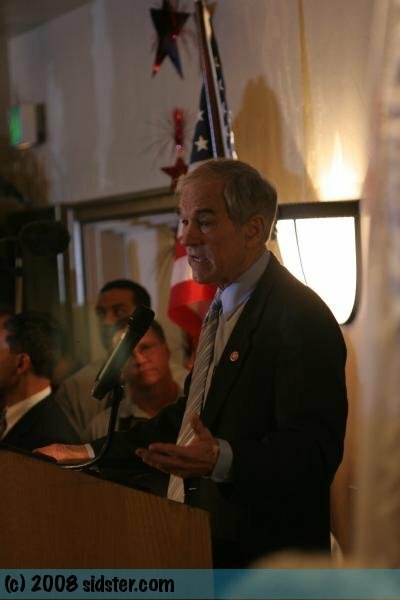 Dan McBride, organizer of the Simi Valley Ron Paul Meetup Group, had arranged for a post-debate rally at the Grand Vista Hotel, where I got to watch the debate live, chatted with other Ron Paul supporters, met a few new people and saw a few I had met from the Pasadena meetup group. 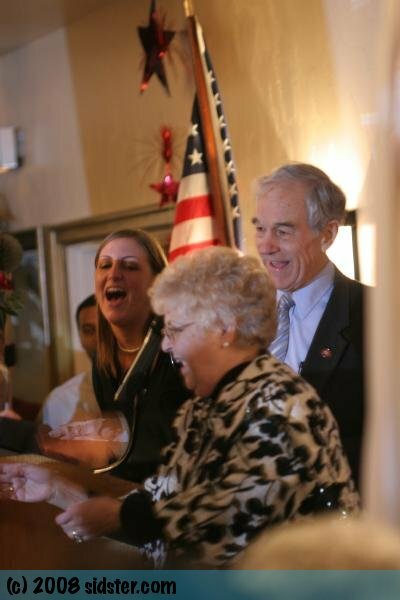 After the debate, Ron Paul joined us with his wife (Carol) and his two granddaugthers, at the hotel and spoke to us for a little bit. 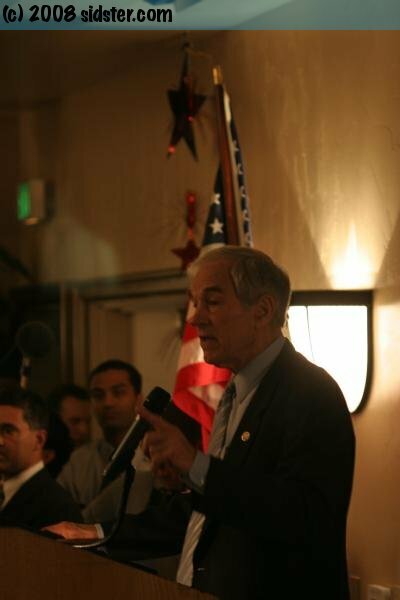 I had the chance to have the Good Doctor sign his book, A Foreign Policy of Freedom, for me and I got to shake his hand!